Renal transplant measures are usually recommended as a last resort for patients who have been suffering from serious kidney diseases like, for example, autosomal dominant polycystic kidney disease that currently has no known cure, and renal diet restrictions are no longer adequate for controlling renal failure symptoms. 1. Some congenital kidney malformations that might make normal renal function impossible like ectopic kidney, when kidneys are developed in the unusual location, or dysplastic kidney developing a series of cysts in place of normal renal tissue. 2. End stage of chronic kidney disease that receives little relief from dialysis or renal failure diet measures. 3. Severe trauma or injury to one or both kidneys might require an urgent renal transplant in order for the patients to survive. 4. Diabetes induced renal failure is one of the most commonly seen indications for renal transplants since high concentration of sugar in blood eventually damages delicate blood vessels all over the body impairing function of many major organs in the body. 5. Autosomal dominant polycystic kidney disease is a progressing genetic disorder that creates multiple cysts in the kidney tissues eventually leading to a full renal failure by the time patients reach the age of 60 in multiple cases. Renal transplant success depends on many factors like age of the patients, additional underlying medical conditions and whether the transplant was obtained from a living or diseased source. 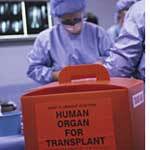 The success rate for a living renal transplant is somewhat higher and has more chances to start working on its own. The first two years following the transplant surgery are usually the most critical and the majority of organ rejections happen within this time frame. Renal transplant even under perfectly matched situations does not guarantee that a new organ will overtake a blood filtering function. All patients having undergone the renal transplant surgery will require a life long observation of an experienced nephrologist and immune suppressing therapy.